For me personally, affordably starting in Web & Graphic Design at HTC built myself a foundation that changed my entire life, since college I’ve worked remotely on projects for myself and various clients while traveling to more than 30 different countries around the world. Life is anything you are willing to learn and create, I look forward to helping kick start and motivating you on your own foundation and visions. 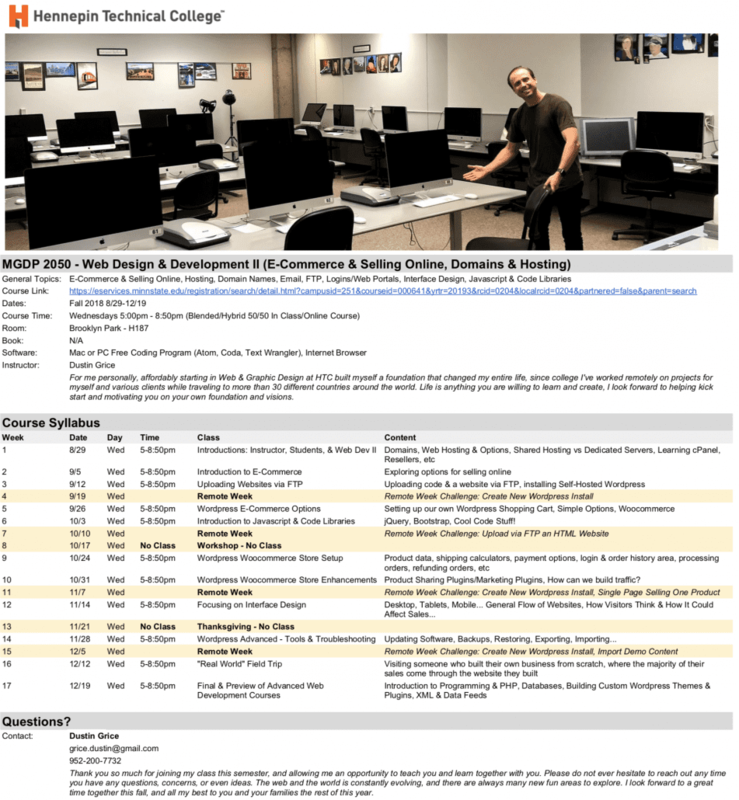 I have now taught a total of 5 semesters going on 3 years together with Hennepin Technical College, and would love to see you in our next class together. Please reach out if you or anyone you know ever has interest in a new adventure in life, I will add you to our list of those interested for any future classes. Take a look at our Sample Course Syllabus’ from past semesters… Look forward to learning the same yourself! Web Production – Preparing for The Real World. Thank you so much for your interest in my our classes, please reach out if you or anyone you know would ever have interest in a fun new change in life.